Today is the Memorial to Guardian Angels. I must admit that for a long time I put my Guardian Angel on the shelf next to my childhood memories and with Santa & Bunny. Not that I didn't believe in Guardian Angels but just saw them as a childhood help and as you got older the less you needed them or they kind of took on other children. Of course it is not the case. I know I need my Guardian and that He/She was there my whole life. I guess in part was they typical image that got me thinking that it was just a childhood deal. I bet you know the image of the angel in a flowing gown guiding children across the bridge. But yet when I came across other images like the main picture I posted it brings on a new idea of Power and Strength. That image of the Angel is what I need to see. It gives me the sense of masculinity that fits the battle of my soul. I have always seen them as this power house of God and the other images never fit that idea. I talk and pray to my Guardian Angel and I have even apologized to him for the stupid things I have done. 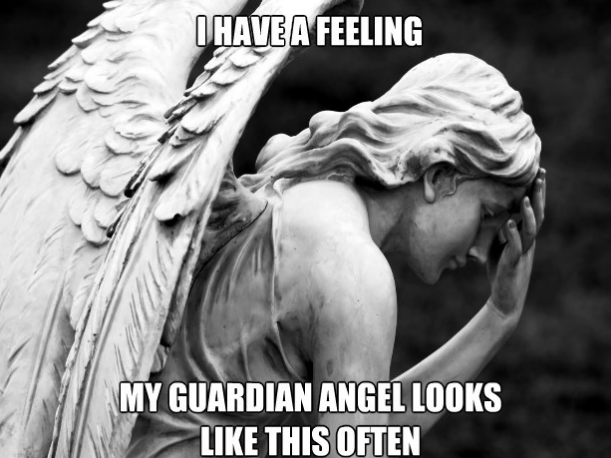 I have always found the new image of the Guardian Angel with their head down or resting in the hand looking like they just might be saying " Here we go again" or " Why Me, Why Him for Me" or "Ohhhhh when will He learn". For me it fits for sure for my life. 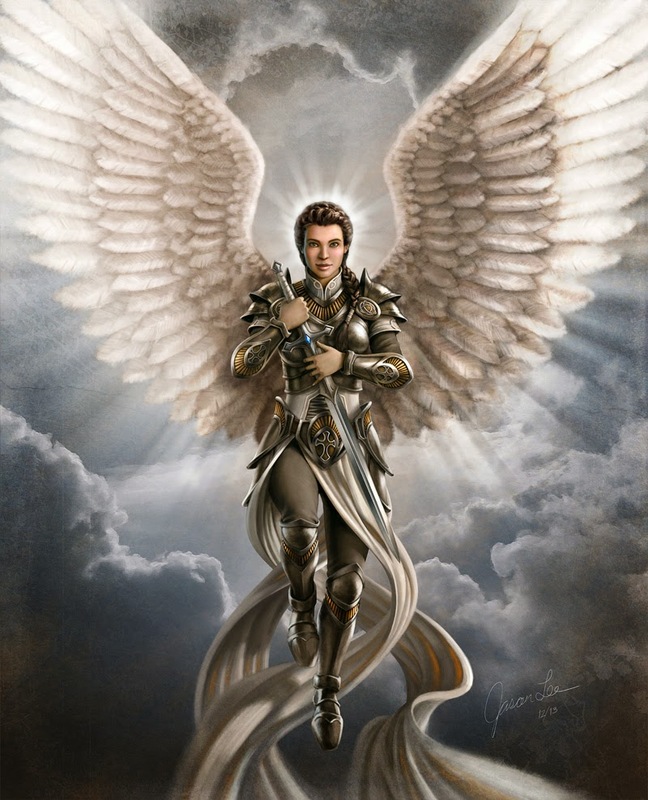 It does not matter what image that comes into our minds when we talk to our angel, we just need to ask for guidance and thank them for being there. Below I have included the prayer to the Guardian Angel. 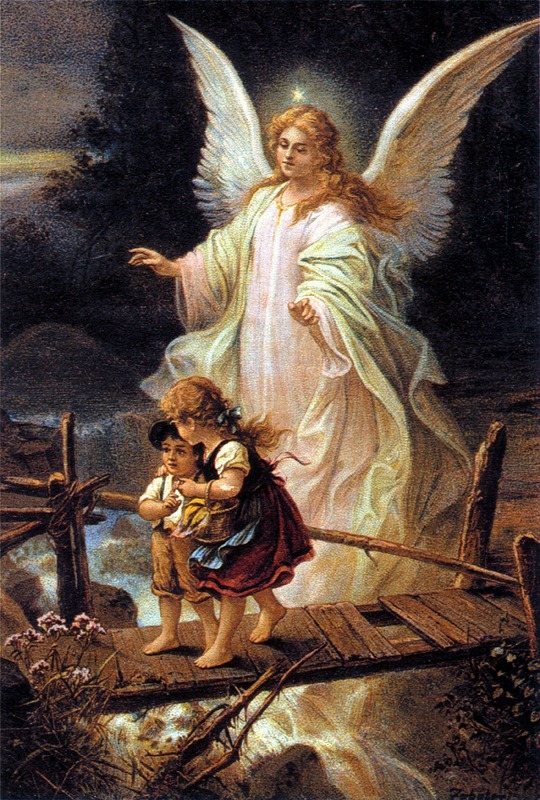 Until tomorrow, God Bless, and remember your Guardian Angel during the day and say Thanks.